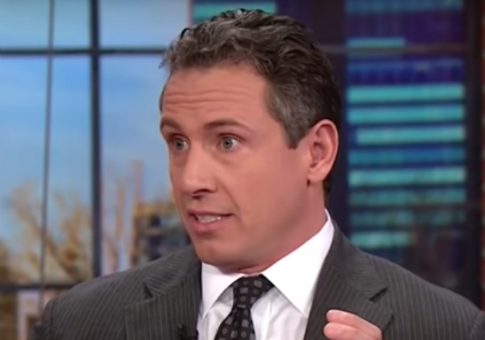 CNN host Chris Cuomo, on his primetime program Wednesday evening, ignored remarks made by his brother New York Gov. Andrew Cuomo (D.) saying America was "never that great." On "Cuomo Primetime," Chris Cuomo interviewed former Director of National Intelligence James Clapper in the A block, following the news the White House had yanked the security clearance of former CIA Director John Brennan. Brennan, now an MSNBC contributor and fierce critic of Trump, wrote the measure was another attempt by the White House to scare opponents into silence. Following the first commercial break, Cuomo spoke about other former government officials from whom Trump is also considering taking away security clearances, including Clapper. Next, Cuomo moderated a debate between CNN political commentator Ana Navarro and Congress of Racial Equality leader Niger Innis about the lack of black senior staffers in Trump's White House. Marshawn Evans Daniels next appeared on Cuomo's show to discuss her experiences as a contestant on "The Apprentice," following the explosive allegations made about Trump's racial rhetoric by former top aide Omarosa Manigault Newman. Daniels said she would bet there is a tape of Trump using a racial slur on the set of the show; such a tape has been rumored to exist for years but never emerged. Cuomo then interviewed fellow CNN anchor Don Lemon about Trump's "enemies list," continuing to castigate him over a "petty" decision to take away Brennan's security clearance. He wrapped the show with a monologue about getting justice for the victims of child sexual abuse, following the horrific Pennsylvania grand jury report about abuse by Catholic priests and the ensuing coverup. CNN host Erin Burnett covered Gov. Cuomo's remarks on her show "OutFront." One of Anderson Cooper's guests, conservative commentator Paris Dennard, mentioned the governor's America comments in passing while discussing the Trump administration. Gov. Cuomo's office released a statement on Wednesday to clarify that he believed America was currently "great" but hadn't reached its "maximum potential." This entry was posted in Politics and tagged Andrew Cuomo, Chris Cuomo, CNN. Bookmark the permalink.